The Oyster Wars provide a demonstration of why regulations sometimes fail to carry out the purpose for which they are intended, why they must be implemented carefully, and how regulatory compromises may cause conflict, even when they involve something as seemingly non-controversial as oysters. 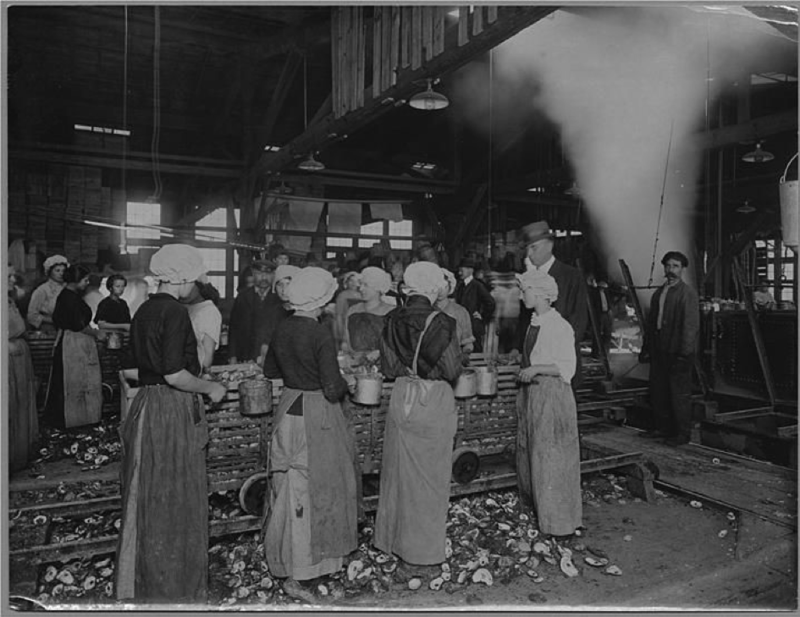 With oyster beds nearby in the Chesapeake, rapid population growth, and a well-developed rail system, Baltimore became the center of oyster canning in the country. By the mid-1800s, oysters were Baltimore’s second largest industry. 20 By 1894, Chesapeake Bay landings comprised around thirty-nine percent of the total U.S. oyster catch. Since there were initially no regulations limiting oyster harvesting, oystermen could take as many oysters as they wanted, and many made fortunes. In fact, in the 1800s oysters were known as “white gold.” 20 However, as more people flocked to the Chesapeake oyster industry, oyster stocks became depleted, creating competition over a limited resource. Improved harvesting technologies made the oyster depletion problems worse. In the 1700s oysters were harvested using shaft tongs, a pair of iron rakes with handles joined together like forceps. During the 1800s a similar tool, called nippers, were commonly used. Oystermen who used tongs or nippers were referred to as “tongers,” and as more harvesters began utilizing these tools oyster harvests increased. These tools could only reach down to 32 feet at most in the water, and many harvested oysters would fall out of them. This made the tools environmentally sustainable, unlike what was later to come. 5 Dredges, 23 which oystermen also began using in the 1800s 24 had a metal frame, strong teeth, and a bag of heavy cord that allowed harvesters to scoop oysters in large quantities from the ocean floor. Oystermen used dredges to scoop up oysters by the bushel-full, often wiping out and destroying entire oyster beds. Maryland’s attempt to regulate oyster dredging exacerbated these territorial disputes and provided new reasons for conflict. Soon after anti-dredging laws were passed dredgers began to ignore them, making tongers angry and inciting additional violence. 31 In response, in 1854 Maryland began allowing dredging again for a fee, but only in Somerset County, Maryland, so that dredging would be focused in a single area. This unintentionally led to anger among harvesters outside of Somerset County, who were jealous of the legal use of more efficient dredgers by residents of Somerset. Over the next several years, oystermen depleted deeper waters of oysters, and even worse began to dredge again in shallow waters. Maryland’s oyster laws had too many exceptions, and were not properly enforced. Violence continued, leading Maryland to take drastic action and create the Maryland State Fishery Force. However, the Oyster Police forces were greatly outnumbered and had little power compared to the well-armed illegal oyster pirates. Their effort was dismal. They only managed to stop a small number of outlaws, and more violence came of it. 38 The Captain of the Oyster Navy, Hunter Davidson, described oyster harvesters as “so stimulated by the trade in the Chesapeake that Oystermen will risk any weather and are willing to kill to enable them to reach the handsome profits that are now being handed to them in the market.” 1 Even the tongers, who they were mandated to protect thought they were corrupt and ineffective. 5 In the end, the Oyster Navy could not compete with motivated oystermen, and was unsuccessful in preventing violence and the overharvesting of oysters in the Chesapeake Bay. 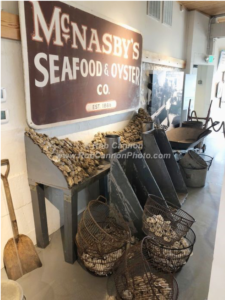 The end of the oyster wars is mainly attributed to a single act of violence, an incident involving an officer from the Oyster Police killing an illegal dredger from Virginia in 1959. 41 In response to the public outcry from this killing, in 1959 the Commissioner of the Potomac River Fisheries, H.C. Byrd, disbanded the Oyster Navy, as it was too controversial and clearly ineffective. After that, Maryland used other methods to control the oyster industry, including various means of taxation, encouraging the private cultivation of oysters, and improving research into ways to protect oysters and oyster habitat. 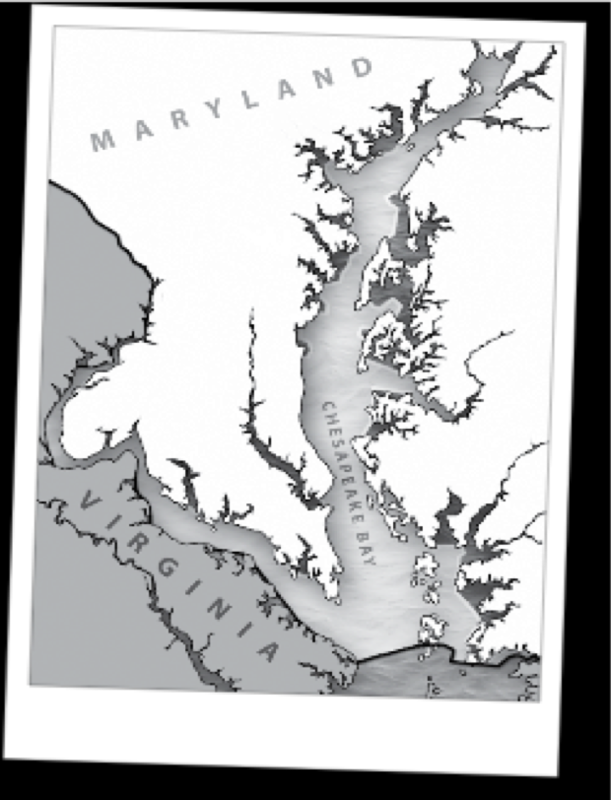 In 1975, Virginia and Maryland formed the Chesapeake Bay Legislative Advisory Commission to better manage the Bay. Presently, this Commission still takes actions to control the oyster industry in Maryland. Unfortunately, the overharvesting of oysters in the 1800s caused permanent damage to the Chesapeake Bay oyster fishery, which has never fully recovered. In 1880, the Maryland oyster industry was producing 71.9 million pounds of oysters per year; in comparison, by 1962, that number had dropped to 8.1 million pounds. The over-industrialization of Maryland’s oyster industry provides an example of the “tragedy of the commons,” where individual users act in their own self-interest and hurt the common good by depleting a natural resource. 6 The failure of the Oyster Navy and regulatory efforts to address this problem serve as a cautionary tale for on-going conflicts over limited natural resources that exist today. NOAA uses a creative fishing regulator scheme that allows regional councils made up of local fisherman and government regulators to determine how best to allocate resources. 45 Through these councils, fishermen feel like they have a voice in the process, preventing violent competition and ensuring that the industry (and fish) will exist for future generations. NOAA’s work shows how government agencies can work with industry to help resolve fights over natural resources. Another present day example involves strip mining. In 1977, the Surface Mining Control and Reclamation Act was passed, which is the primary law regulating coal mining. This law minimizes adverse impacts on fish, wildlife and related environmental resources, and has stopped strip mining practices, preserving natural resources while still allowing mining activities. 46 Again, government has stepped in to regulate the mining industry’s impact on the environment, compromising with industry to allowed continued mining without a negative effect on the environment. The Oyster Wars of the Chesapeake Bay were caused by competition for a limited resource, unsuccessful laws, and a lack of meaningful enforcement. During the wars, regulatory efforts were made to address the competition among oyster harvesters, along with their unpredictable actions and violence. These efforts had only limited success, and often caused the very violence they were meant to prevent. 47 The Oyster Wars show that just passing laws sometimes provokes conflict, and more creative solutions are often needed. There are still large political debates over oysters in the Chesapeake Bay, and the oyster industry remains important to the Maryland economy. The Trump administration has proposed cuts in federal funding for Bay cleanup, which could negatively affect the oyster industry — however, the Chesapeake Bay Foundation hopes to add ten billion oysters to the Bay over the next seven years. 48 Fights over oysters in Chesapeake Bay and other natural resources are sure to continue as populations increase and resources dwindle. We can learn the lessons for how to resolve these problems through the Oyster Wars, along with modern efforts to regulate natural resources that were created in response to them. Weak laws and poor enforcement will only increase violenc­­e and hurt the resource. Instead, government and industry must come together and make compromises or risk the destruction of a natural resource we hold dear. 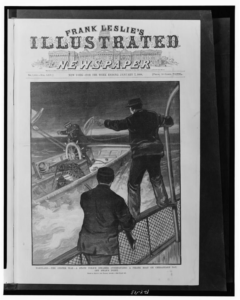 This newspaper image illustrates the violence between the oyster police and illegal oyster dredgers. It also shows the sinking of ships, and how exactly illegal dredgers were captured. 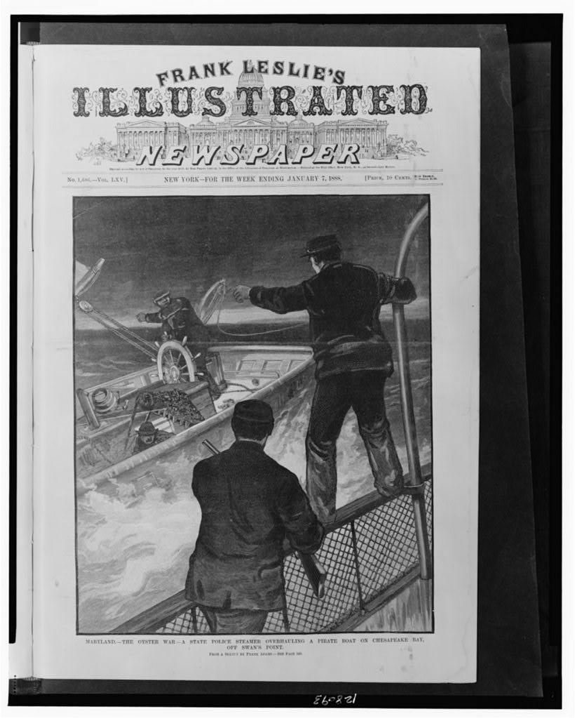 Image taken from: Maryland–The oyster war–A state police steamer overhauling a pirate boat on Chesapeake Bay, off Swan’s Point / from a sketch by Frank Adams. Photograph. Retrieved from the Library of Congress, www.loc.gov/item/2001695520/. This photograph shows oyster shuckers, as well as an inspector watching over them as they work. 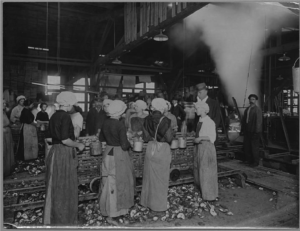 It shows how the oyster industry provided jobs, and was a part of Maryland history. Photograph taken from: United States Department of Agriculture, ca. 1914-1915, Arthur J. Olmstead Collection, PP133, MdHS. < http://www.mdhs.org/underbelly/2014/05/08/maryland-on-a-half-shell/ >. 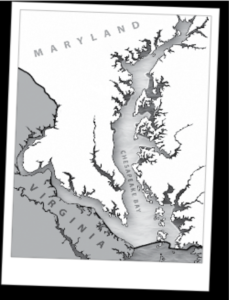 The dark areas of this map represent shallow waters in the Chesapeake, whereas the lighter areas represent deeper waters of the Chesapeake. It helps to illustrate where these waters were located, and where dredgers and tongers worked. Map taken from: “Oyster Wars! !” Chesapeake Bay Maritime Museum, www.cbmm.org/pdf/ Oystering%20Curriculum6-10.pdf. Accessed 17 Feb. 2018. 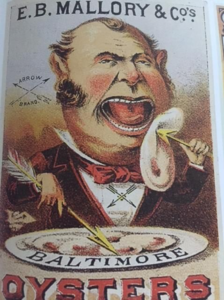 This image shows one of the many advertisements for Baltimore oysters. Image taken from: Seaver, Barton. American Seafood: Heritage, Culture & Cookery From Sea to Shining Sea. Rev. and expanded 2nd ed., NY, Sterling Epicure, 2017. 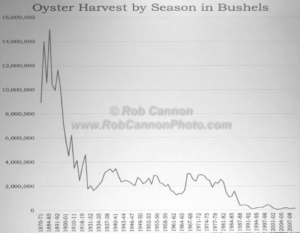 This graph displays the turning points in oyster harvesting as the years go on. When relating this graph to regulations on oystering at specific times, it can show its effect on the number of oysters harvested. Graph taken from: — . 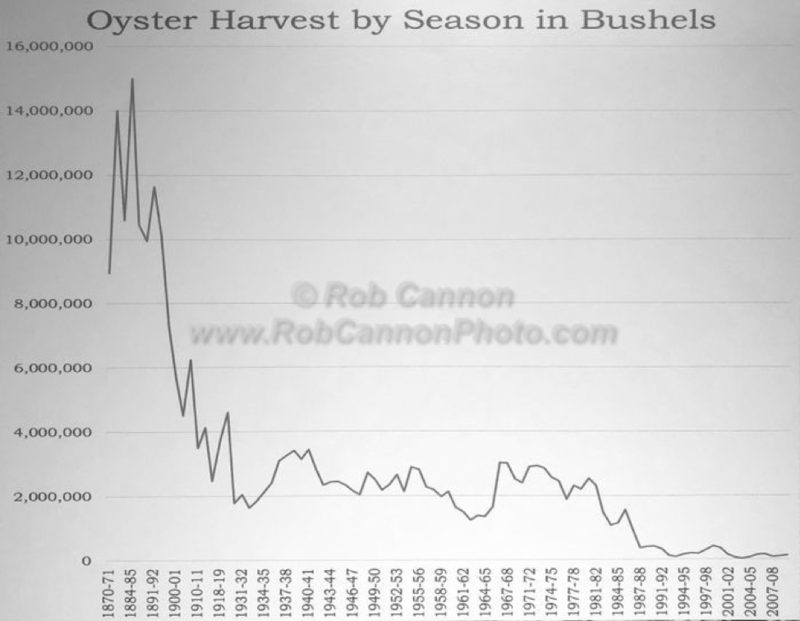 Oyster Harvest by Year . Phototgraphy by Rob Cannon , www.robcannonphoto.com/photos/Cannon/Dorchester/images/page143.html. Accessed 17 Aug. 2018. 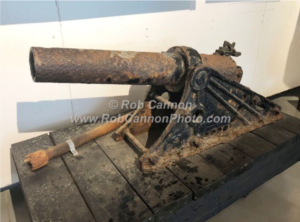 This image shows one of the cannons used by officers a part of the Oyster Navy. Photograph taken from: —. 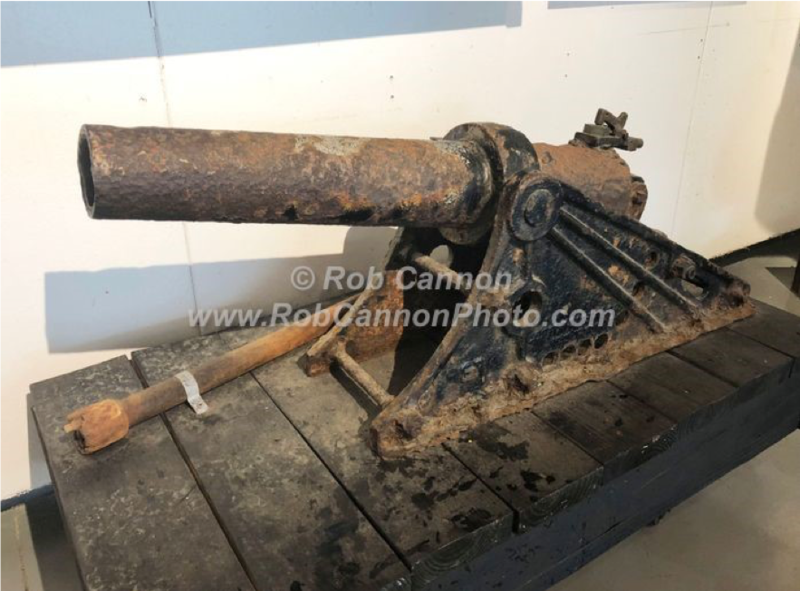 Oyster Navy Cannon . Photography by Rob Cannon , www.robcannonphoto.com/photos/Cannon/Dorchester/images/page151.html. Accessed 17 Aug. 2018. 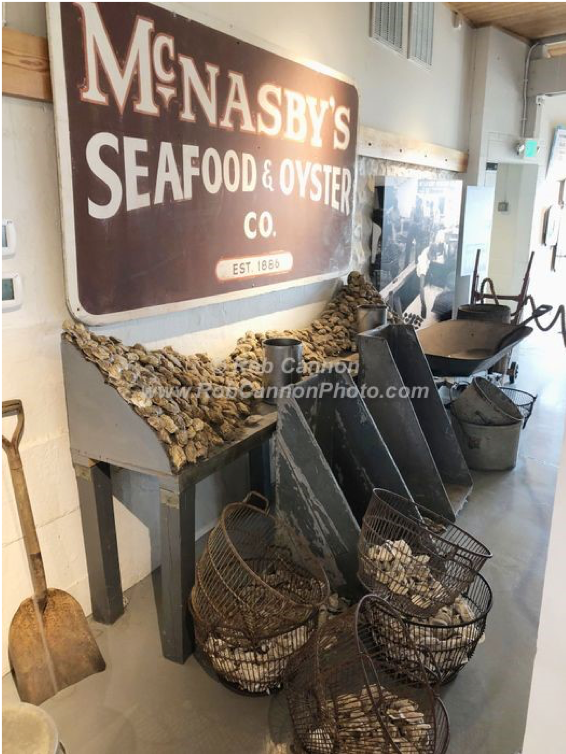 This photograph shows a display of oysters from an oystering company. It shows the amount of oysters harvested, and how they were advertised. Photograph taken from: —. Oyster House 01. Photography by Rob Cannon Photo , www.robcannonphoto.com/ photos/Cannon/Dorchester/images/page143.html. Accessed 18 Aug. 2018. This entry was posted in Article and tagged nhd, oyster wars, student paper. Bookmark the permalink.